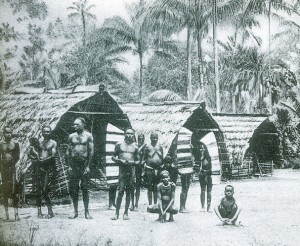 The German New Guinea Company established control over Bougainville and Buka, Choiseul, Shortland and Treasury Islands in 1885 but did not extend its farther control southwards in the Solomons,The southern islands of the Solomons came under a British protectorate in 1893 with the eastern islands being added in 1899.In 1900, Germany transferred all of its claims in the Solomons other than Bougainville and Buka Island to Great Britain while Britain, in return, withdrew from Western Samoa. 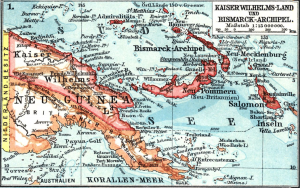 During World War I, Australia occupied Bougainville together with the rest of German New Guinea; the League of Nations placed the territory under Australian ruleIn 1920 German New Guinea (and Bougainville and Buka: below) became a League of Nations Mandate Territory under Australian administration. 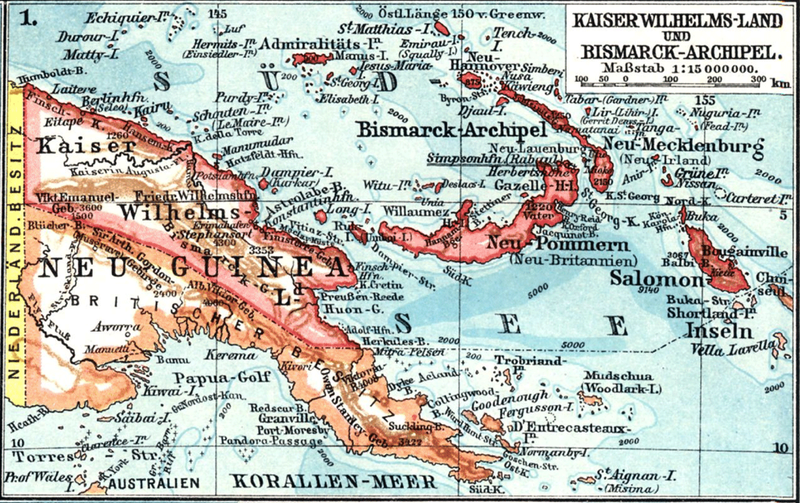 Papua was an External Territory of the Australian Commonwealth, though as a matter of law it remained a British possession. (To Australians, New Guinea meant the formerly German part, and Papua meant their part. 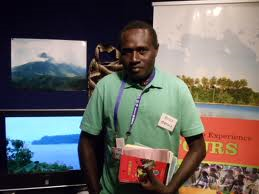 )The difference in legal status meant that Papua and New Guinea had separate administrations, both controlled by Australia.nder Australian mandate in 1920. The territory below it was British.